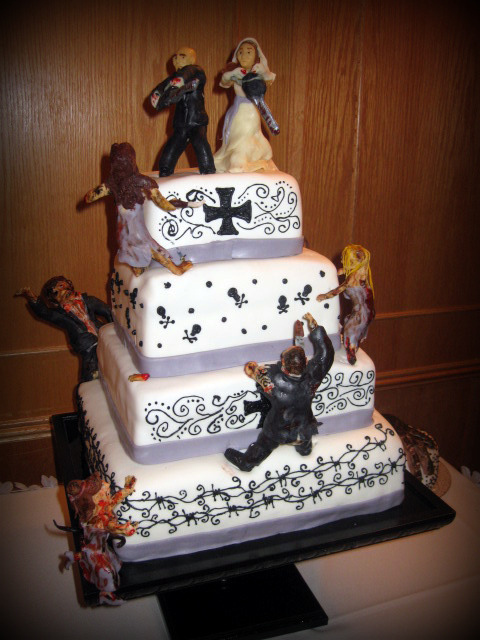 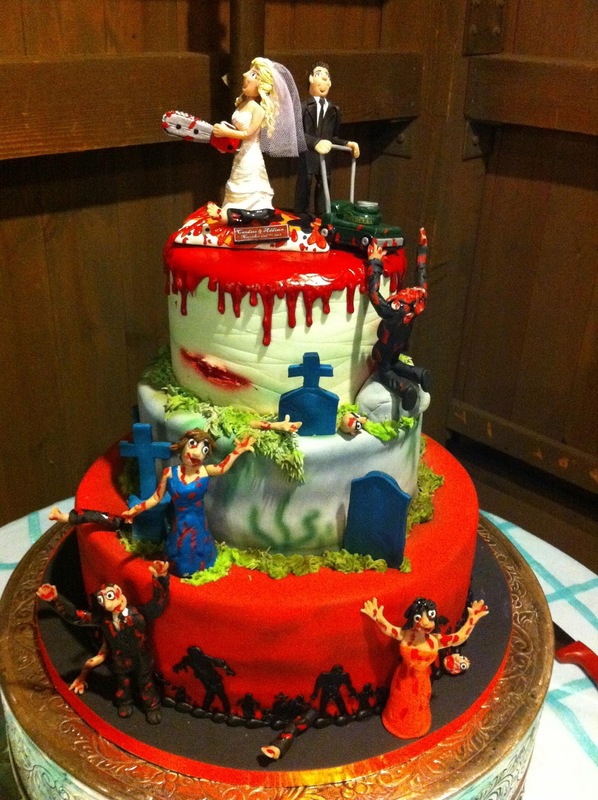 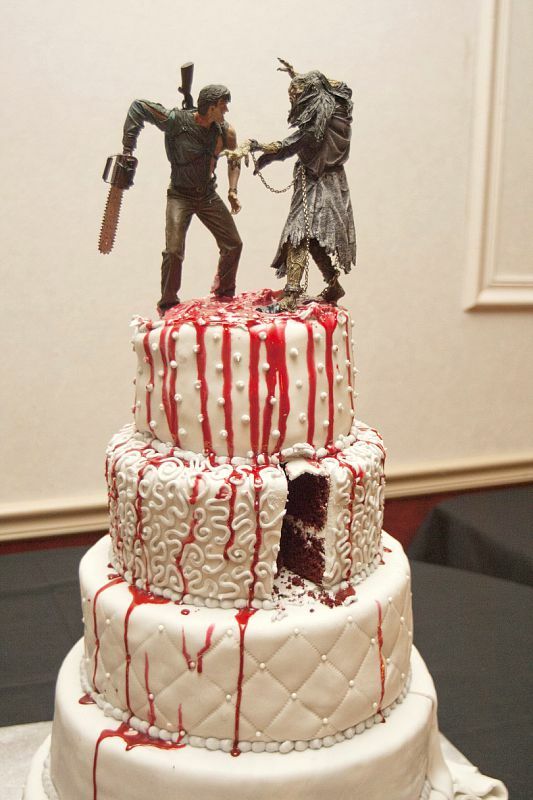 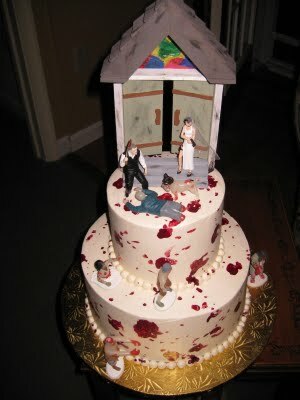 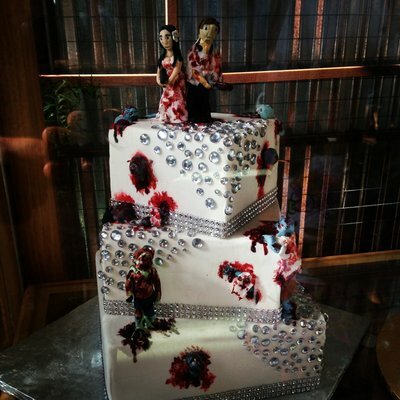 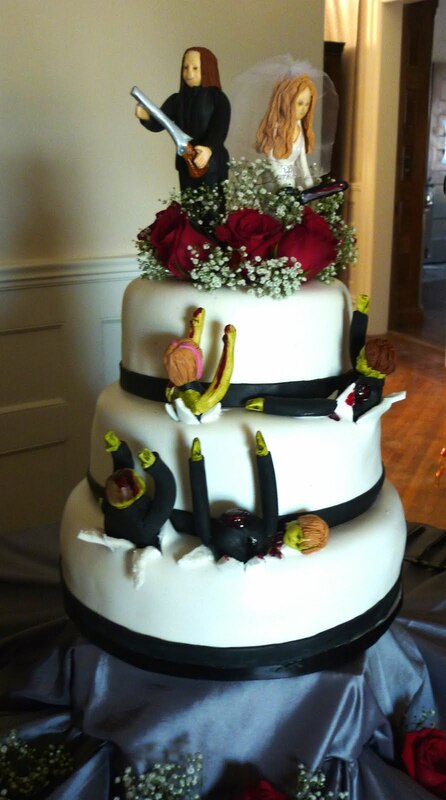 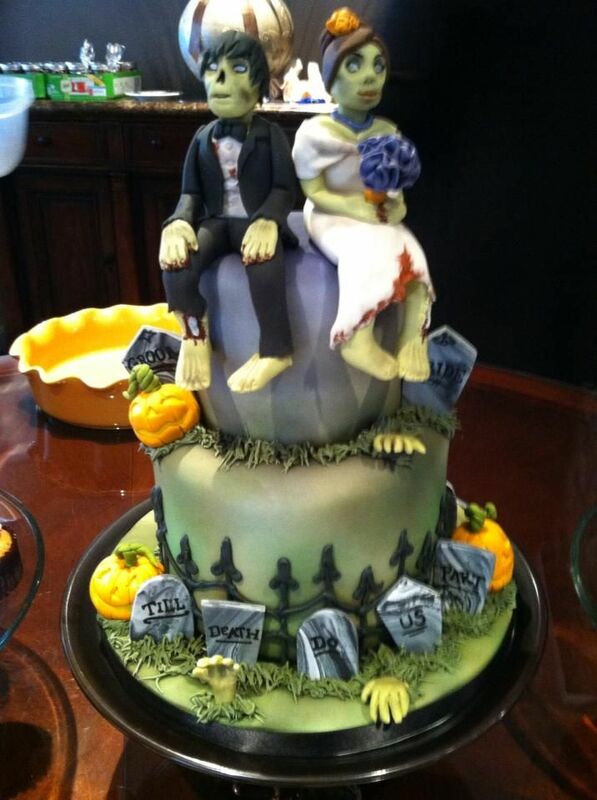 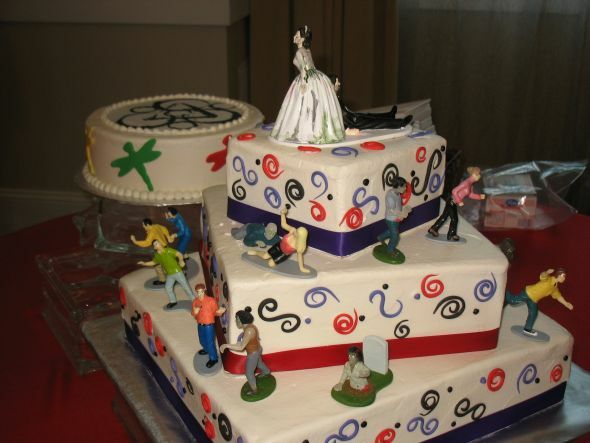 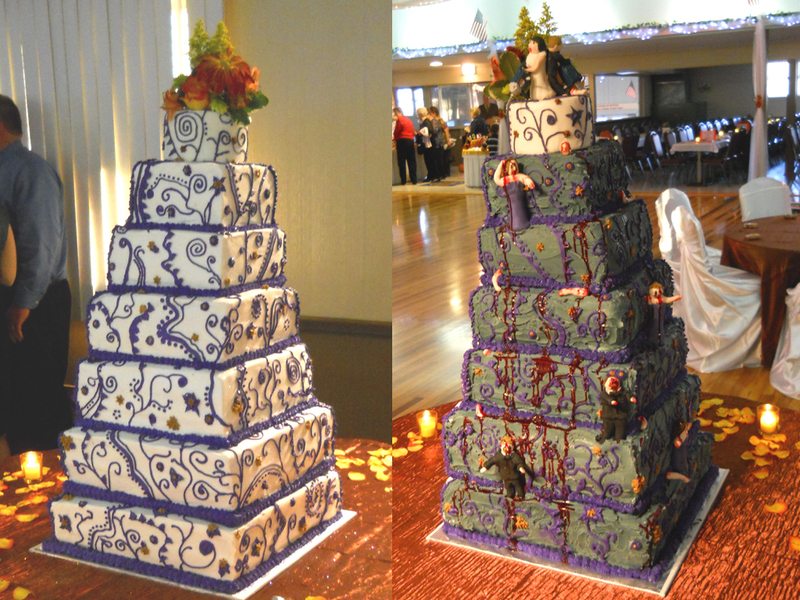 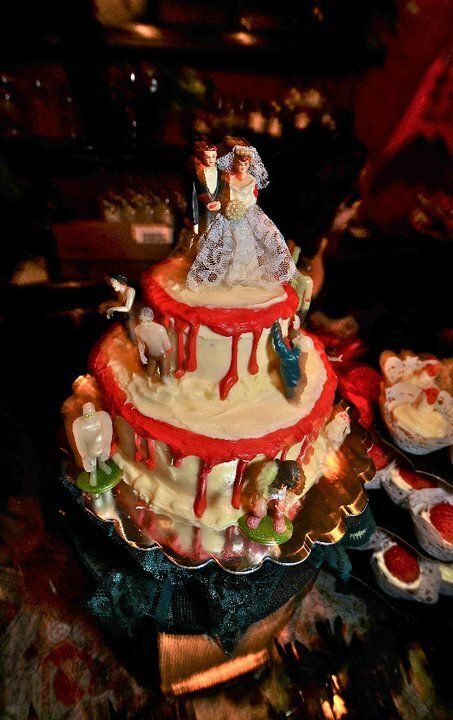 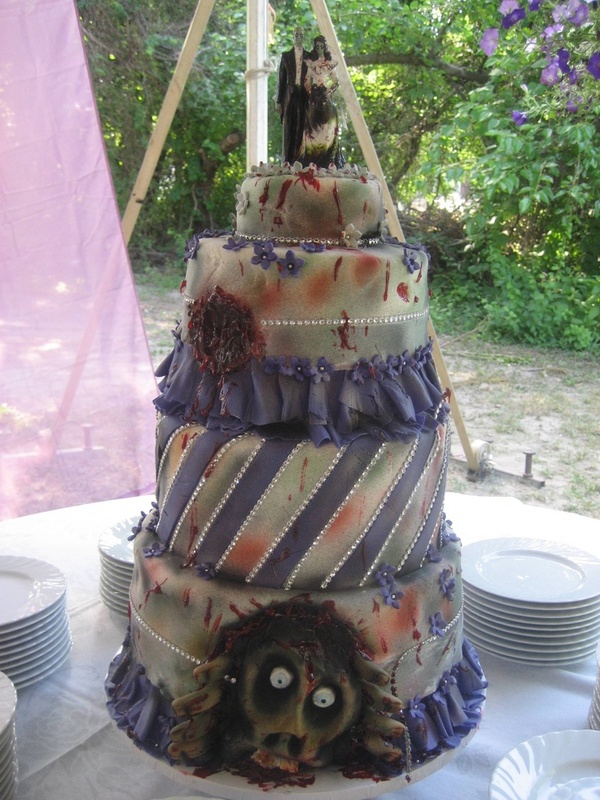 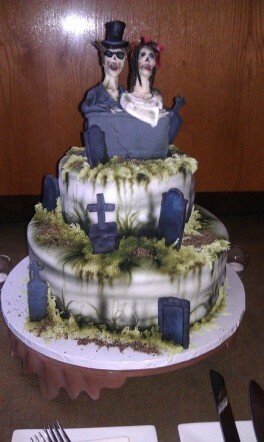 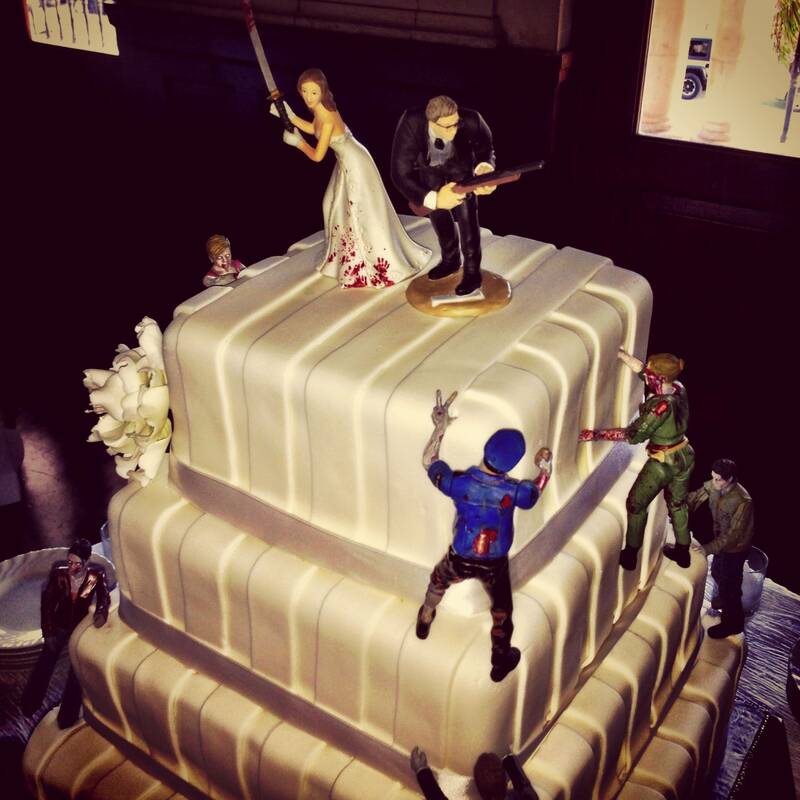 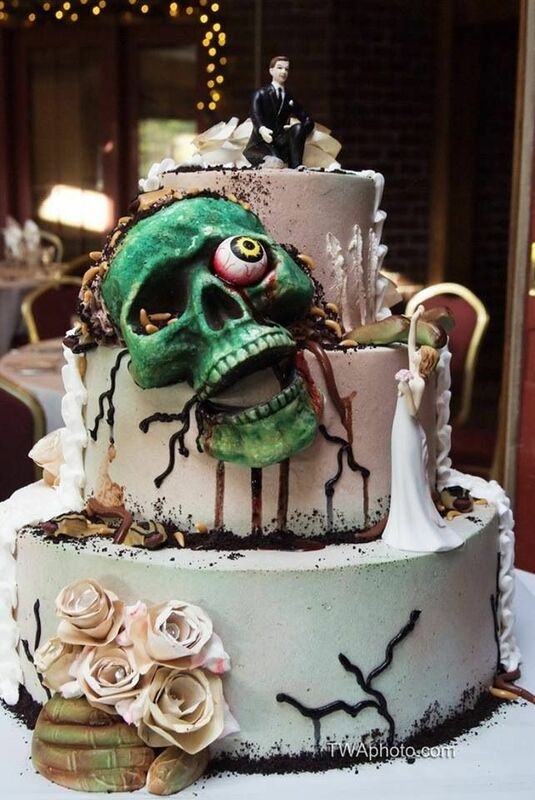 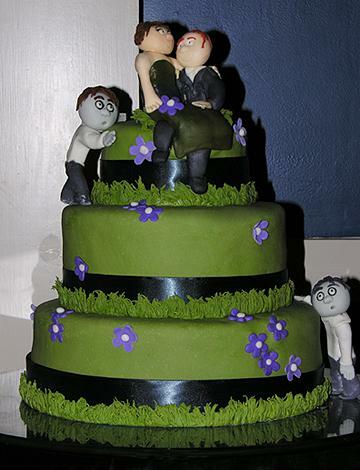 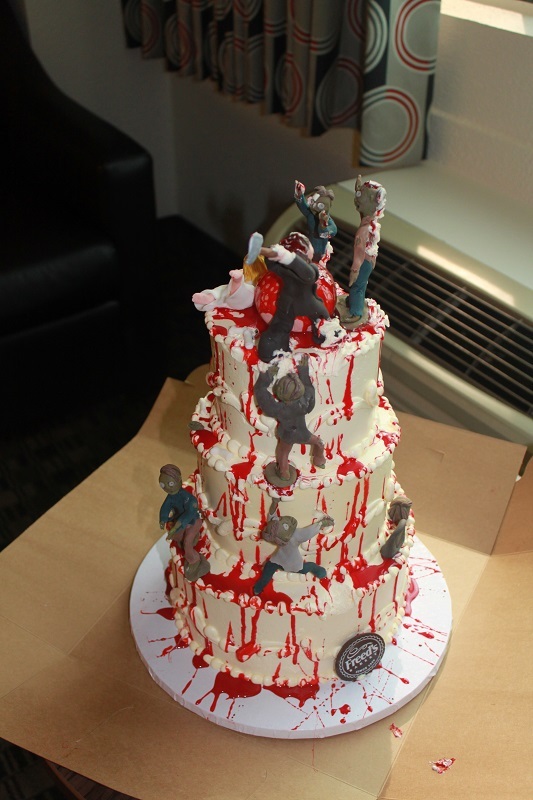 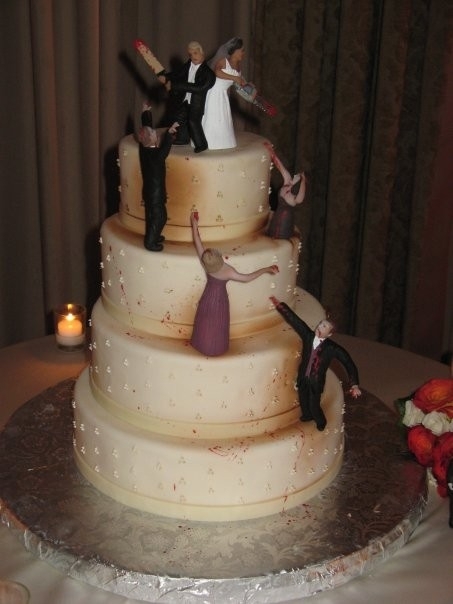 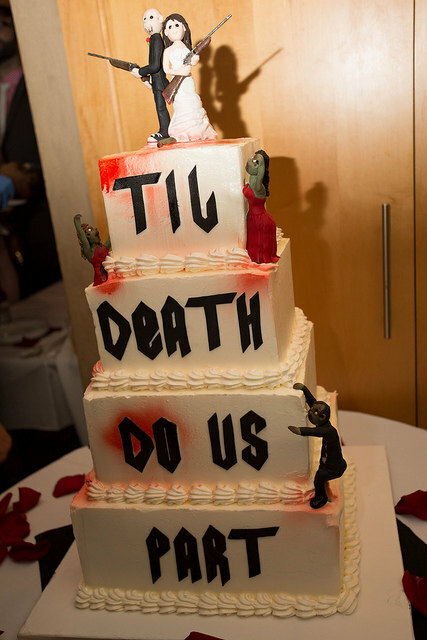 In honor of The Walking Dead returning the same week as Valentine’s Day, we’re following up our 12 Best Walking Dead Cakes with this list of 21 Zombie Wedding Cakes. 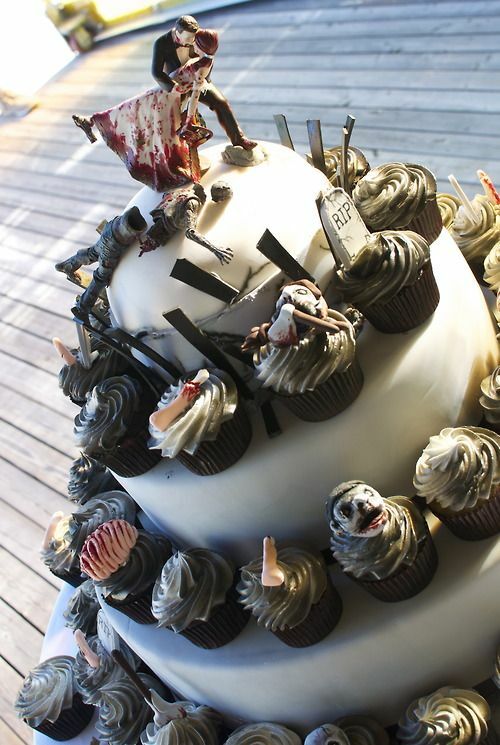 Happy VD from Kitchen Overlord. 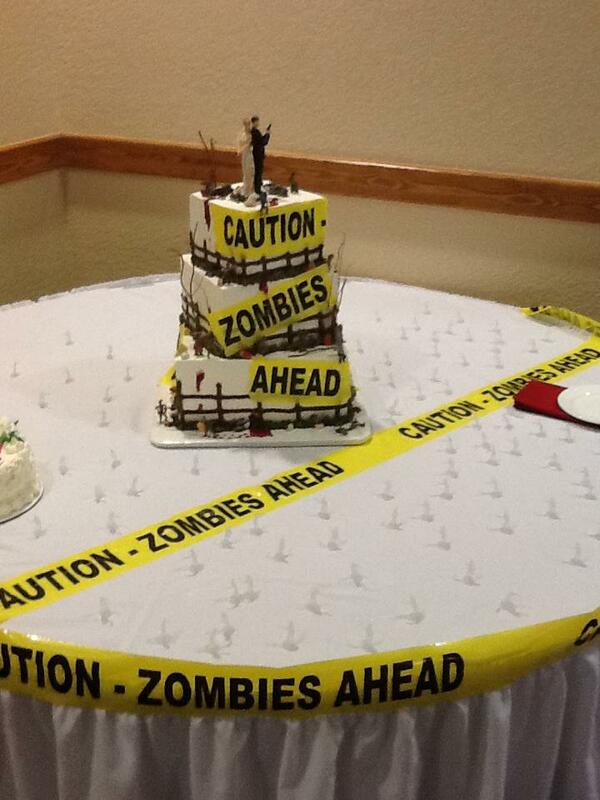 I hope you enjoy your nerdy infection. 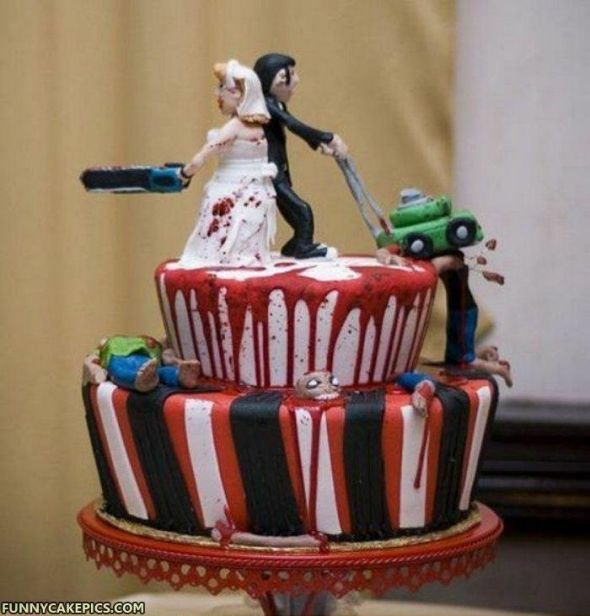 OK, This looks scary but at the same time artistic… Happy valentine day to you.